I recently had the great pleasure to meet up and do some boondocking with some RVing friends from Wyoming. 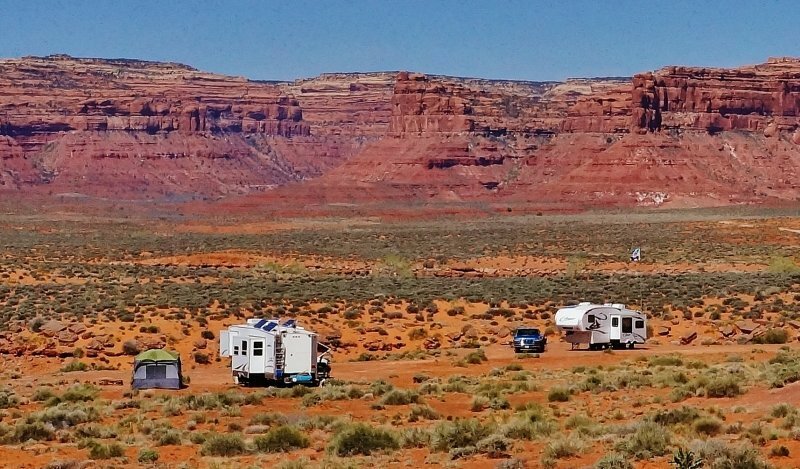 Eddie, his wife Aileen and daughter Laura are full-time RVers living in their 40-foot fifth wheel. This winter they decided to venture down to the southwest and our paths were able to cross. 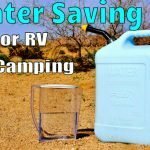 We had some great fun hanging out together in a few “off the grid” free BLM camping locations such as Bisti Badlands in New Mexico and the Valley of the Gods over in southern Utah. 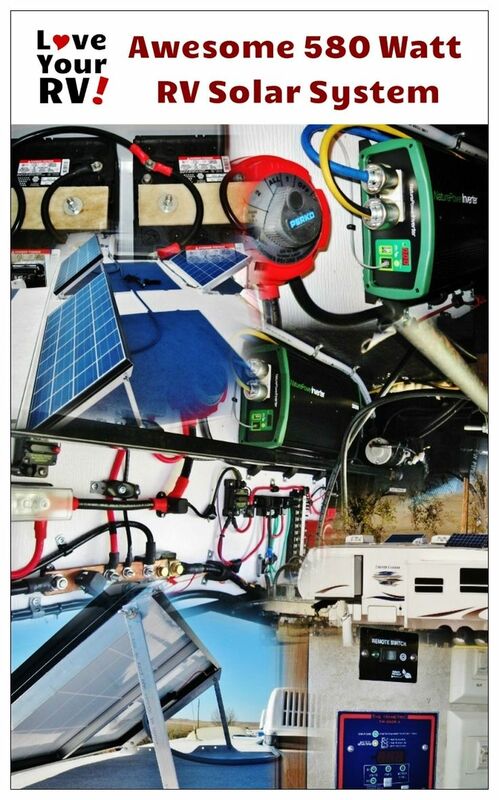 Eddie has his rig really decked out for dry camping including 580 watts of solar panels on the roof. Ever since he posted photos of his solar system and electrical wiring setup online I’ve been eager to get a closer look. The install is very complex but neatly laid out using high-quality materials. Looks like something NASA engineers would build! Eddie was kind enough to go through the whole system with me explaining the operation and how he did the install and materials used. He saved tons of money by doing the work himself. 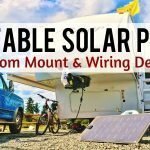 In my opinion, he did a much better job than many professional solar installers would do since he was able to take his time. He even let me video the tour so Love Your RV! Blog readers could get a close up look as well. Thanks, Eddie. 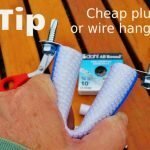 I picked up a whack of great tips and ideas for my own rig. 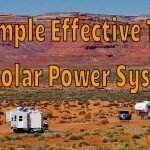 I’m a recent convert to RV solar power having installed a little 200-watt Renogy starter kit in our Keystone Cougar and eager to expand it as funds allow. It was so nice to spend 4 days camped with them at Valley of the Gods and not have to break the silence of the desert with a droning generator. Their 580-watt system was bringing in enough power daily to let them do things like watch satellite TV, use a washer and dryer, run a deep freeze, make coffee in the morning, power up all the electronics and more. The power is gathered on the roof by four tilt-able solar panels. 2 – 140 watt Kyocera and 2 – 150 watt Npower solar panels then fed with #10 gauge wire a short distance to junction boxes. 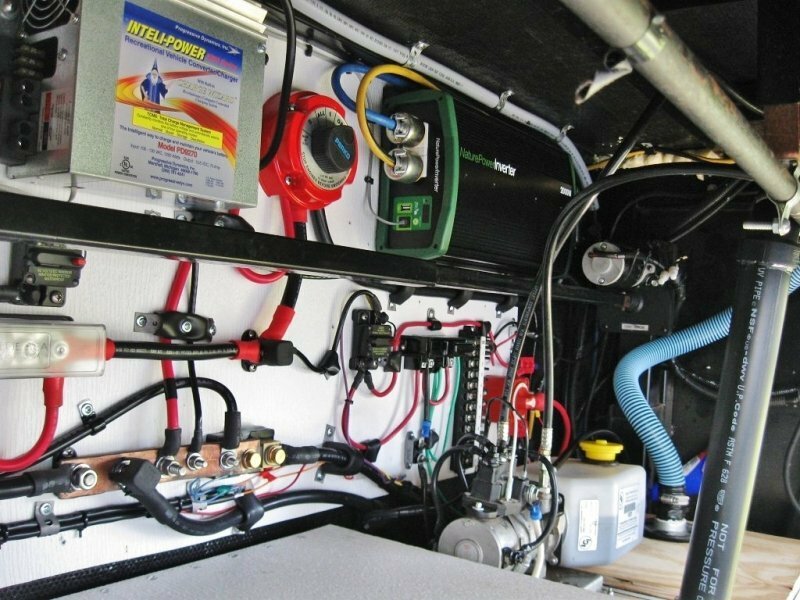 From the junction boxes, #6 gauge wire is used to feed the power down to the fifth wheels front storage compartment where a Morningstar charge controller is mounted beside the battery bank. 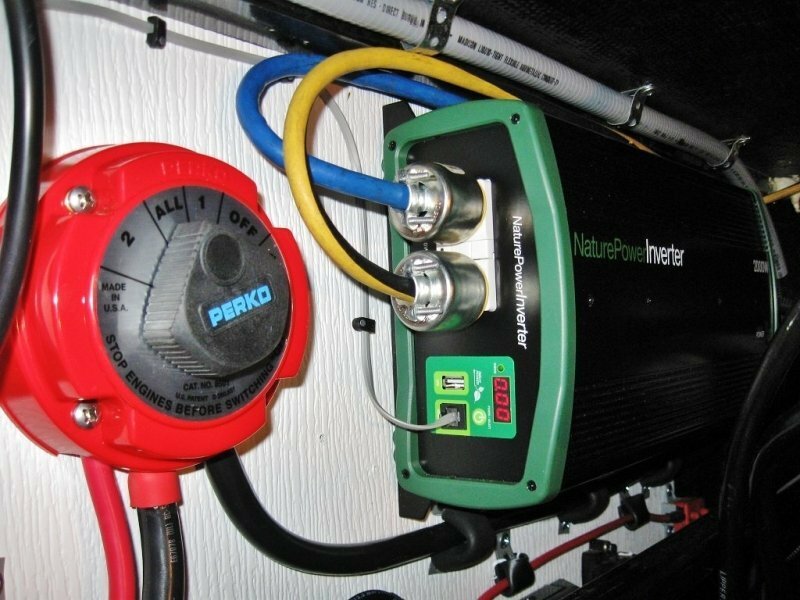 Having large enough gauge wiring is very important so the power brought in by the solar panels is not lost in the resistance of the wiring. Eddie’s panels are also tiltable with some special hardware he made up himself using aluminum angle brackets. 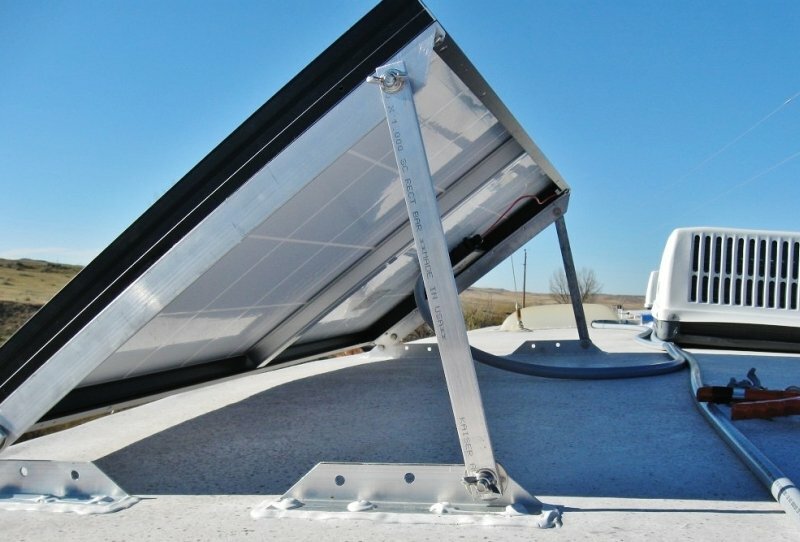 Tilting is especially effective when the sun angle is low in the winter months to harness more energy versus flat mounted panels. 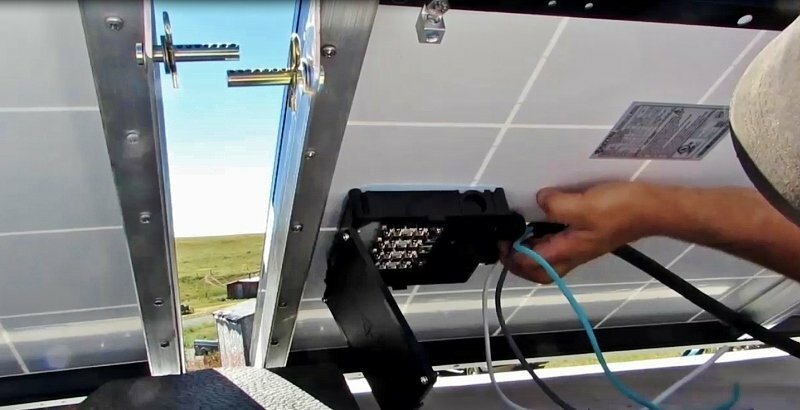 Once the power is harnessed from the sun and brought down near the batteries it is next fed into a device called a charge controller which charges the batteries up and properly maintains them at full charge. 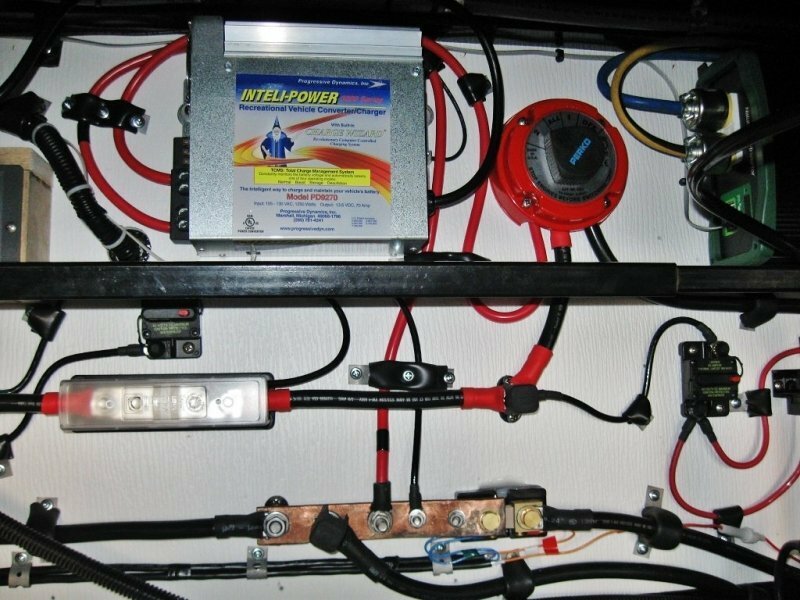 Eddies system utilizes a Morningstar Tristar 45 amp PWM charge controller to charge 4 – 12-volt deep cycle batteries with a total capacity of 420 Amp/Hours. 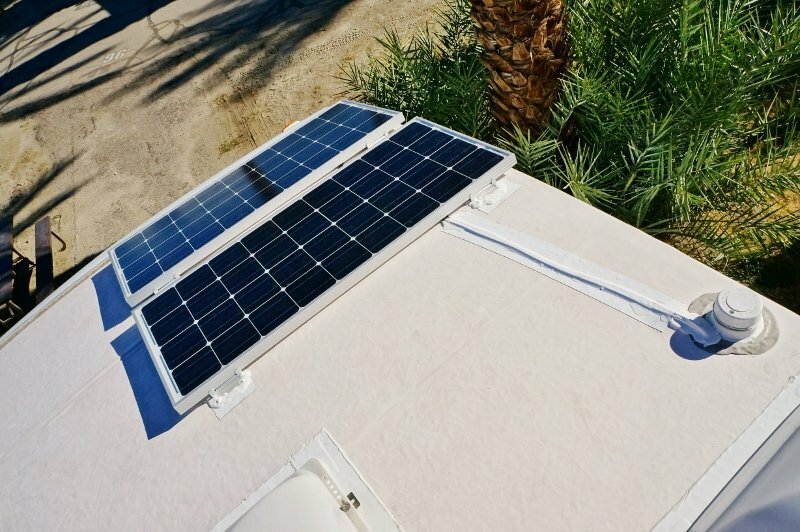 The batteries are housed in a custom built battery box with excellent ventilation to the outside. All the wiring from the controller to the batteries is very heavy gauge and nicely terminated. The controller also has a special sensor wire which runs into the battery box with a thermostat on it and will read the battery temperatures to adjust for optimal charging. 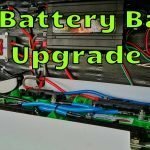 Next to monitor the state of the battery charge and find out the power going in and out Eddie has installed a Trimetric TM-2025-a power monitor. This unit is mounted inside the living area of the rig so at a glance he can see a host of information about the power system and instantly know if they are adding in energy or energy is being taken out of the batteries. Key information so you know when to shut down high current items as to not run out of power for the night time. Once you have power stored in the battery bank you next need a way to turn the batteries 12 volt DC power into AC 120 volt power like found in a house outlet. For this job Eddie installed a 2000 watt NaturePower Pure Sine Wave Inverter. 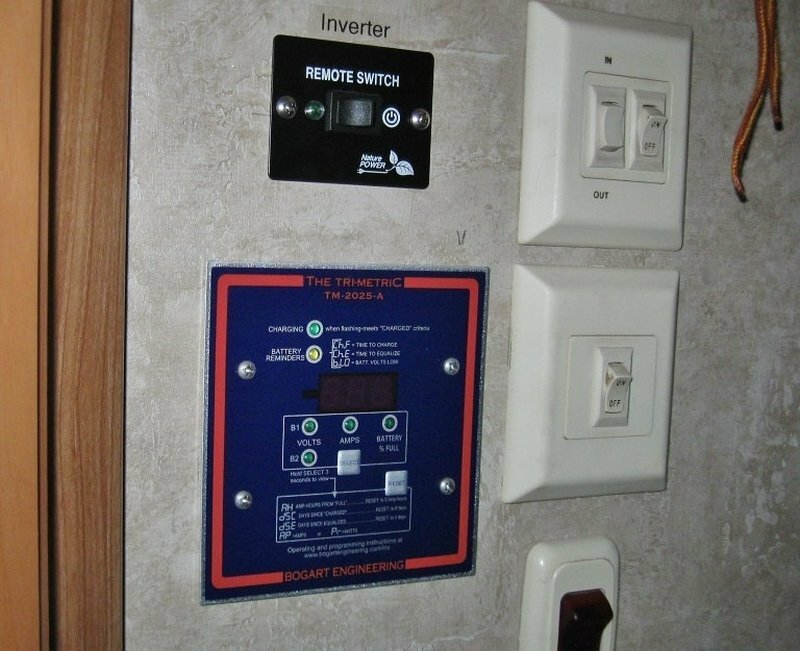 The AC output is wired into junction boxes in the belly of the fifth wheel and then branched out to special outlets spread around, where required, inside the fifth wheels living quarters. The inverter came with a remote power switch which is mounted conveniently beside the Trimetric monitor. Another mod that he did that I really like and plan to do for our trailer is the installation of an Intel-Power PD9270 – 70 Amp RV Converter/Charger. The original OEM converter was located way at the other end of the rig requiring a long run of wire to get to the batteries. It did a lousy job of charging the batteries when on shore power. By installing this unit nice and close to the battery bank they can be charged quicker and better than before. 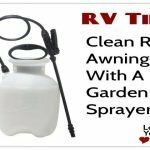 This comes in real handy for those days when solar isn’t working due to clouds and they have to rely the gas generator to power up the batteries. Eddie has done a bang up job of installing various circuit breakers and switches to control the power sources and prevent damage in case of a malfunction. He can also isolate all the different circuits if he needs to work on them. He has smartly installed what they call a catastrophic fuse rated at 300 amps as a final fail-safe device. In the case of an extreme system failure, fire will be avoided. 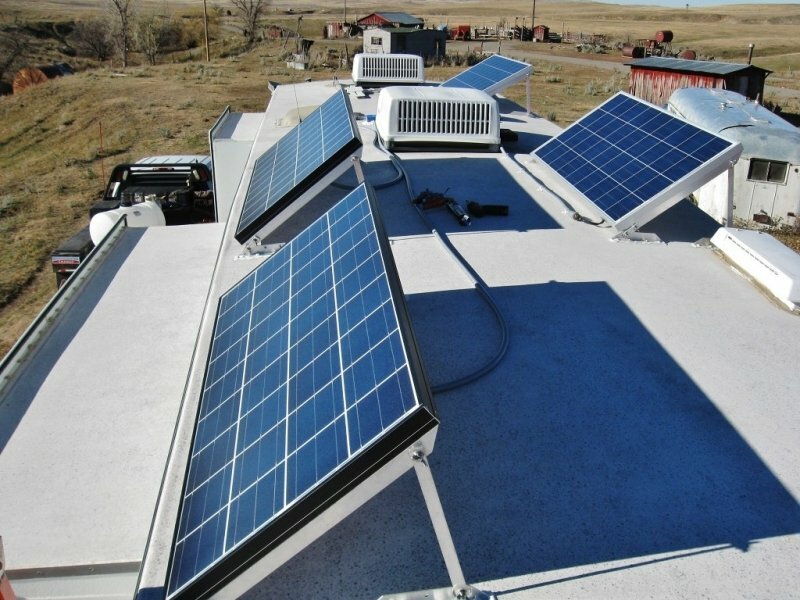 There is also a large solar disconnect switch so he can remove all the solar panels from the power system if need be. Well, that is just a brief rundown of the Eddies system. Here is a video where I ask him questions about it and he explains things in greater detail. This system is over sized by 40% for our usage now, I made it larger for redundancy and larger usage down the road. 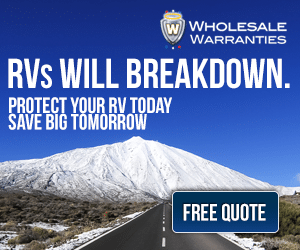 Some RVers do not need a system this large, some need larger ones. This all depends on your usage or possible usage in the future. The main change if we could go back would be go all Kyocera solar panels. They are very tough, it has an added crossbar to the frame for extra support. 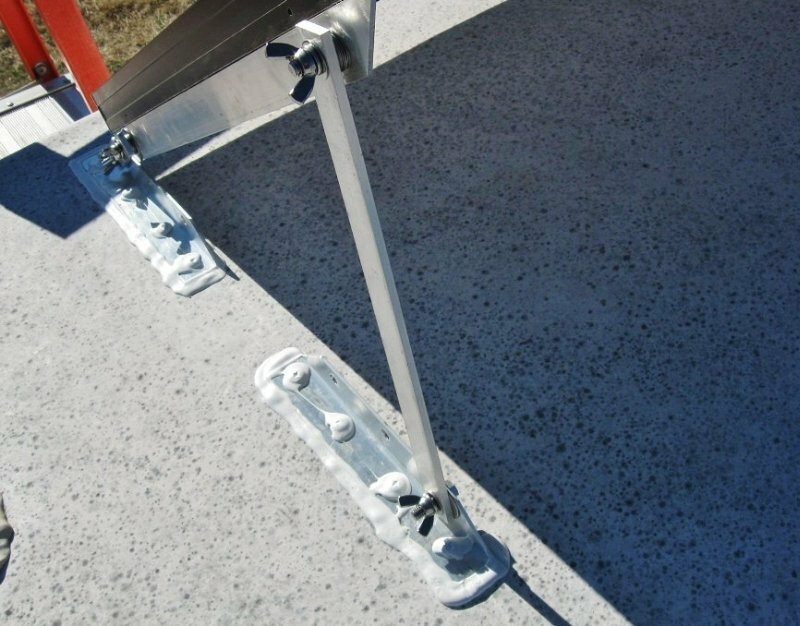 Also its New frame technology allows for end mounting under 2400 Pa (50 psf) or wind speeds of 130 mph (ASTM E1830) and traditional mounting under 5400 Pa (113 psf) to support increased snow load. Last I’m not sure how the 12 volt Napa Group #31 Deep cycle batteries will hold up. 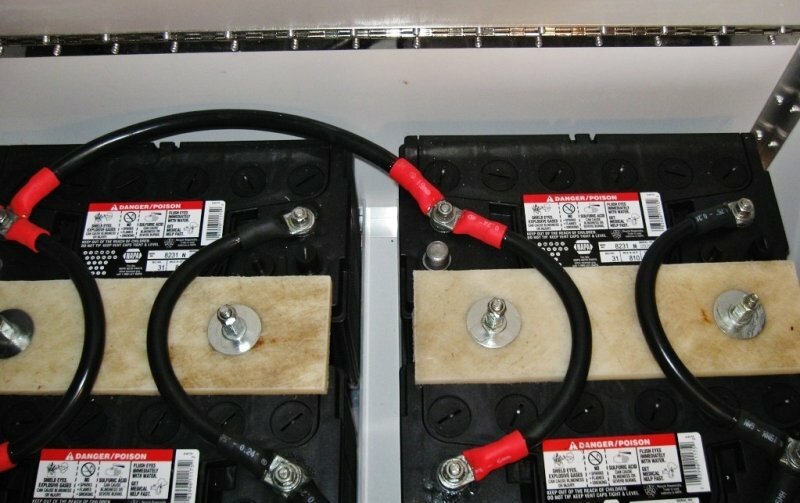 Hind-sight I would have used Trojan T105-RE 6 Volt, 225 AH Deep Cycle Batteries. 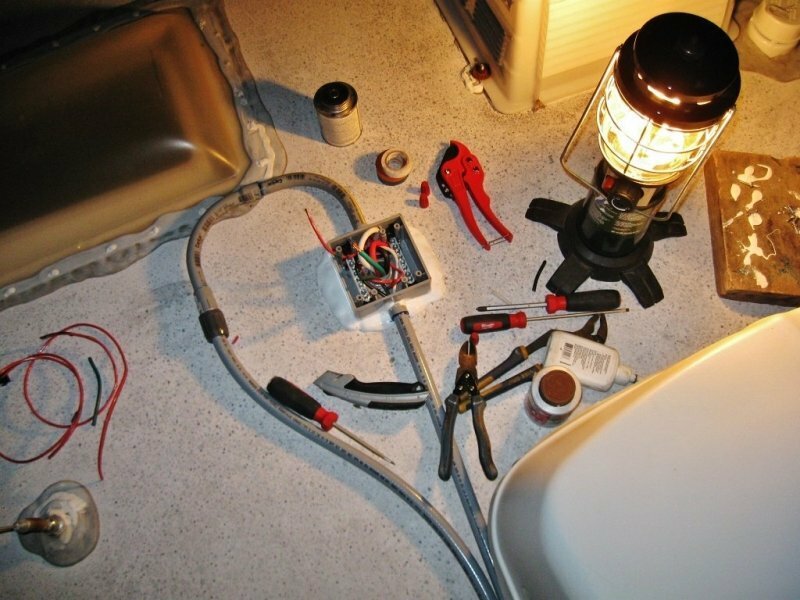 If you’d like to see more of photos of Eddie’s solar and power systems as well as numerous other mods and upgrades he has made to his rig head over to the Love Your RV Forum. Check out his photo albums page. 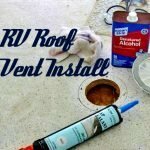 Eddie has a new Solar Install and RV services business. Find his contact details here.